I'm relatively new to yoga and have visited various studios and therefore have seen and used a wide variety of yoga products. I've now decided to invest in products for myself and was advised to give this website a try. 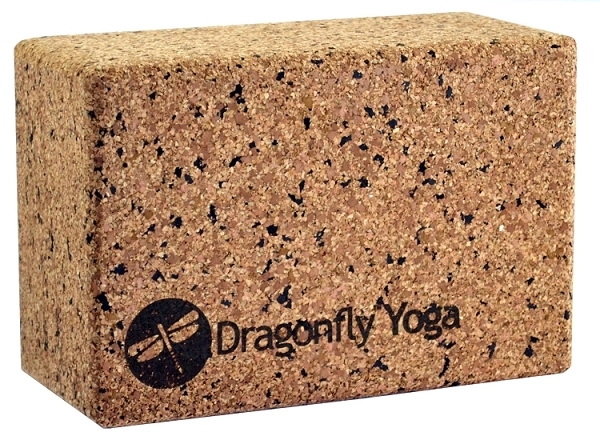 I must say that I am very impressed with the quality of the Dragonfly 4" cork block! It's has good weight to it and is very solid. Much better quality than what I've used in the dojos that I've visited. Score one for me!! Okay, I got this block and put it in my trunk so I don''t have to use blocks other people sweat and touch all over. My yoga gals are always trying to use it! I told them where to get them. It''s worth the extra bucks, and it says that it''s eco-friendly. It''s heavy and not like any block I had ever used before but I love it!! This block is very dense and stable. I tried the Dragonfly brand for the first time and it seems to be of good quality. My Yoga Works studio said they will start carrying Dragonfly stuff.